Online ad campaigns can help increase your company’s bottom line by creating brand awareness, driving sales, and generating new leads. While these benefits sound attractive, running ad campaigns can be challenging. Even the most seasoned marketers struggle to execute, manage, and assess their campaigns. Adding structure to your ad campaigns can help to mitigate these challenges. With a robust framework, you won’t have to improvise or make unplanned changes in the middle of a campaign. In this article, we provide five essential tips on how to improve your ad organization campaign. Failing to plan is planning to fail. This can be particularly true for advertising where virtually every move you make costs money. Ensuring that you’re fully informed on all aspects of your ad campaign is the first step to keeping it organized. With many moving pieces, a clear understanding of the objectives, target market, budget, advertising channel, and key performance indicators (KPI) will keep you organized and focused. 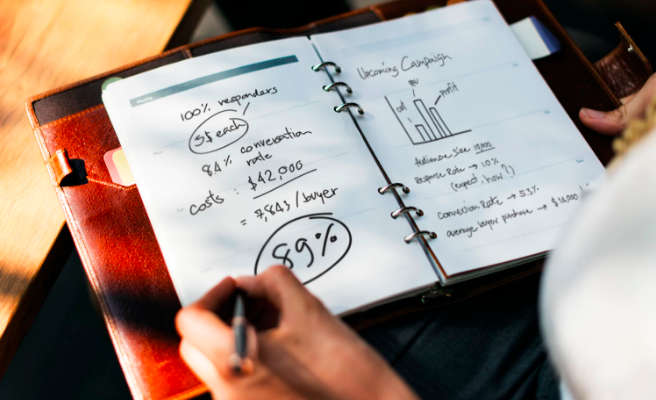 Once you determine the overarching goals of your campaign, it will be easier for you to come up with a budget, advertising medium, and KPIs. 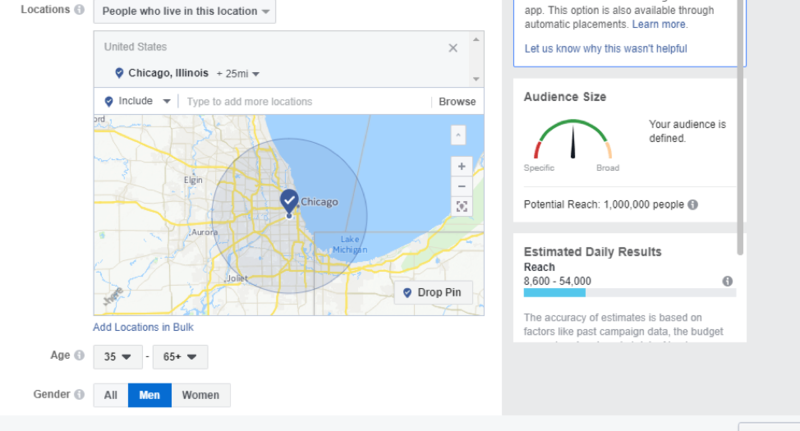 With the specific targeting features of search and social media ads, creating a highly-defined target market can increase your chances of achieving your campaign objective. Your campaign’s medium will mostly depend on your goal and your target market. For example, if you want to create awareness of your sneakers with people 18 to 35 years of age, then you’re likely to invest time and resources in Facebook advertising. 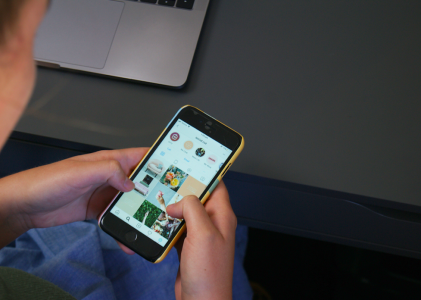 According to a Nielsen study, Americans that fall under this age range spend over six hours per week on the social platform. You can also consider advertising on multiple channels at the same time. While running Facebook ads, you can also run a search campaign on Google AdWords. It is easier to set a budget once you’re clear with your goals, target market, and advertising channels. Based on these variables, you can come up with a rough estimate of the amount that you need in order to achieve your goal. For example, Facebook lets you set a budget for your ad campaign. Depending on your target market, the social platform will provide an estimate of daily reach based on your budget. The image below illustrates the daily reach for the settings provided based on a $200 daily budget. You can also do something similar on Google AdWords where you set bids for your keywords. Based on your provided settings, Google will also provide a summary of your costs and estimated results. Equipped with these details, you can come up with a budget that should help you achieve your desired results. Your KPIs will also be based on your campaign objective. For example, someone who’s looking to create product awareness might consider click-through rate (CTR) and engagement as core KPIs. Those who want to drive sales might focus on tracking CTRs, conversion rate, cost per conversion, and landing page conversion rates. You need to identify which KPIs play a role in facilitating the performance of your ads so you can track and optimize them as you run your campaigns. Staying organized is essential, so you should use a calendar to keep on schedule. The factors discussed above serve as the foundation of your ad campaigns. 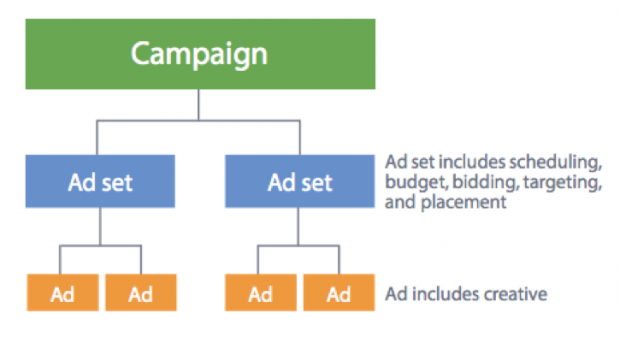 From there, you can start building the structure of each ad campaign. A clearly defined structure makes it easy for you to run your ads. Also, you minimize mistakes by eliminating last minute guesswork. More importantly, ads with clear-cut divisions help you maximize results. You can organize each ad campaign based on your goal, product, or target market. For each ad, you should have a clear heading and a group of subheadings. Let’s say for example that you want to drive sales to your new line of men’s apparel where you sell shirts, jackets, and pants. However, you also want to increase brand awareness for your hottest products. Having two distinct goals, you have to come up with a structure for each. In your first goal, your main heading is to drive sales. The subheadings include shirts, jackets, and pants. Under each subheading are the types of shirts, jackets or pants that you sell. In your second goal, your main heading is to increase brand awareness for the hottest products. Subheadings might remain the same depending on your sales figures. The difference would be seen on the items under each subheading. Since you plan on marketing the products that are trending the most, you wouldn’t include the types of shirts, jackets, or pants. Instead, you would focus on the exact products that you consider best sellers. Play with various structures before you run your ad campaign. Find the one that makes sense for your goals and products. There are plenty of tools out there that can help you organize your campaigns more effectively. These apps can help you arrange your ideas, prioritize tasks, collaborate with team members, and share documents seamlessly. Let’s look at the right tools that you can use to better organize your campaigns. After you’ve created a robust ad campaign framework, you can start putting together ideas and steps on how to execute your campaign. 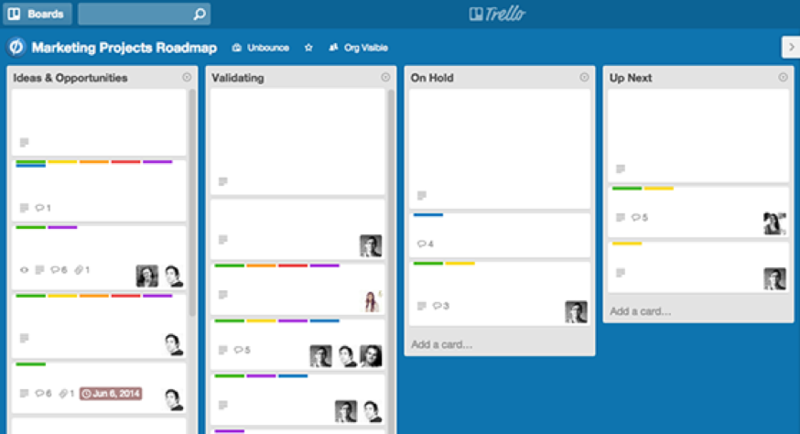 While other marketers still rely on whiteboards, you’re arranging your ideas online on a Trello board. Trello is primarily created as a project management tool; however, its versatile interface can also help organize you and your team’s campaign ideas as well. Using a Trello board, you can create multiple columns to reflect each stage of your conceptualization process. Under each column, you can add a card for each idea or campaign. Since you’re likely to handle multiple campaigns at once, you can color code and label each card to effectively sort your ideas. Moving one card to the next column is as easy as dragging and dropping. With a Trello board, you can easily keep track of your ideas and see their progress in each stage of your conceptualization process. And best of all, it’s free to use. Google Business Suite provides the complete package that can help better organize your campaign needs in terms of communication, collaboration, and documentation. Keeping an ad campaign organized during its execution phase comes with multiple challenges. 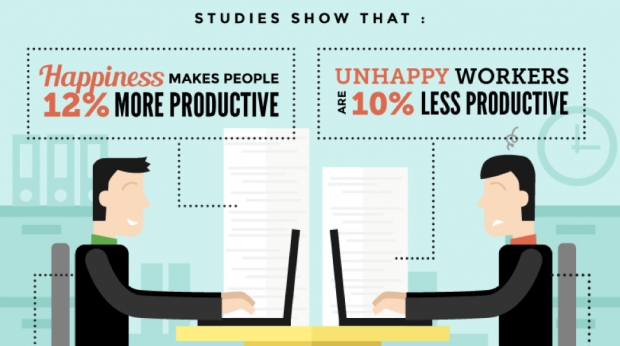 Tasks become much more difficult to keep track as more people are involved. Without the right project management tool, it is easy to forget about tasks, miss deadlines, lose documents, and perform way below expectations. WorkZone can help you make sure that nothing slips through the cracks. Workzone offers a free trial version with pricing starting at $200 per month. Now that you have the knowledge, ad structure, and tools, the next step is to organize your team. Clearly defining the roles and responsibilities of every team member involved in the campaign can increase efficiency, create flexibility, help communication flow smoothly, and avoid disputes between coworkers. Less confusion means more chances of happiness, and when your employees are happy, they are more productive. The Visionary – focuses high level planning and execution including coming up with methods to achieve campaign objectives, assigning tasks, selecting team members, and choosing the most suitable marketing channels. The Supervisor – creates the timeframe for the campaign, oversees the execution of project tasks, and ensures that each team member meets the deadline. The Investigator – specializes in finding information that the team needs to achieve the campaign objective, including core demographics of the market, the most effective channels, the best media formats, and strategies used by the competition. The Content Creator – takes charge of creative development including ad copy, graphics, or videos. The Evaluator – reviews the materials and ensures that everything is aligned to the strategies laid out by the visionary. The Analyst – looks at campaign data including costs and KPI figures and consults with the visionary to recommend adjustments to increase campaign effectiveness. You can have multiple positions to occupy various roles. What’s important is that you have a basis on how you may organize your team’s roles according to their functions and level of responsibilities. As a marketer, you must be well-versed on how to advertise on all platforms including ad organization. 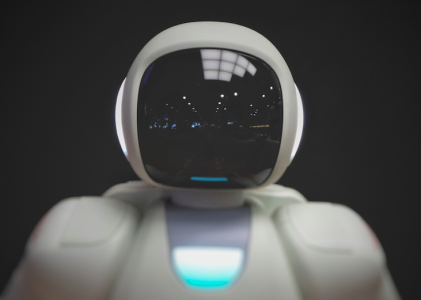 Each platform offers unique features and as such, ads having the same goals and the same products would be structured differently from one platform to another. If you’re just starting out and you have limited knowledge on how one platform works, you might not be able to maximize your results. It would be difficult for you to reach your target market, measure your KPIs, and optimize your ads. With Google generating $79.38 billion and Facebook generating close to $27 billion in ad revenues, let’s look at how to effectively structure ads in these two platforms. 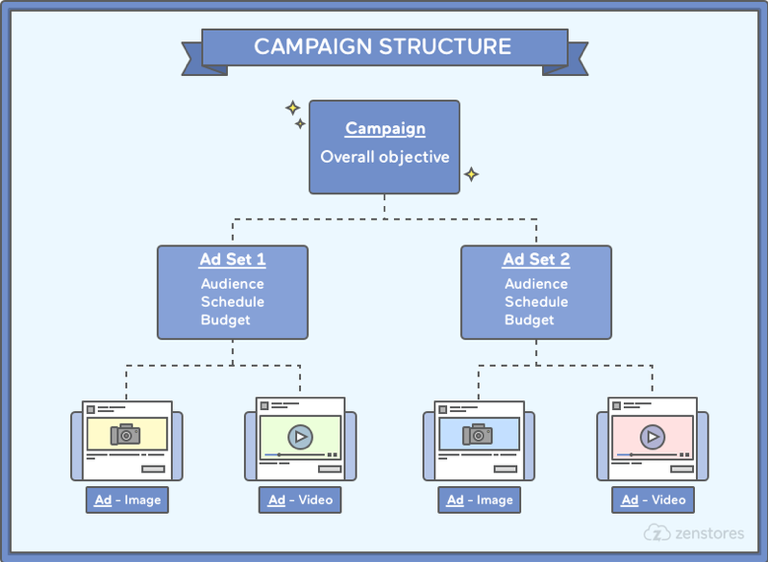 Campaign – this is where you make big picture decisions such as your daily budget, target location, distribution preferences, and start and end dates. Ad Groups – this is where you put together related keywords, ads, bids. For example, if you’re marketing shoes, then you might want to create an Ad Group for shoes that share the same keywords. Keywords – are classified under Ad Groups and are very important as they trigger the appearance of your ads. Let’s say a user searches for the term “men’s shoes”. Your ad might appear on the search results page if you included the same keywords on your Ad Groups. Ad Text – this is the text that Google displays on search results when your ad is triggered. Landing Page – this is the users’ destination when they click on your ad. Ideally, this is a page on your website that is relevant to the ad, and has a call of action to encourage conversions. Now, the ad structure that you created in Step 2 will come in handy when you start working on your Google AdWords structure. Let’s go back to the example of driving sales for men’s apparel. 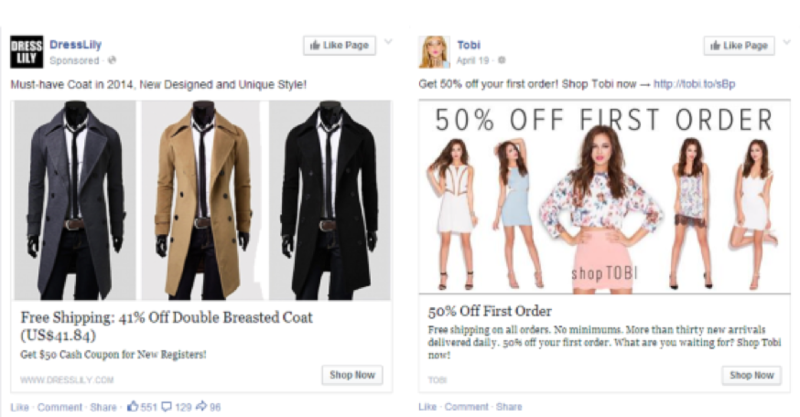 You can create a specific ad campaign for this with one ad group for each type of clothing. You can create one Ad Group for all shirts, another one for all jackets, and another one for pants. Under each Ad Group, you can start entering relevant keywords. For men’s shirts, relevant keywords could be “men’s shirts,” “men’s shirts online,” and “men’s shirts on sale.” When one of those keywords is triggered, your ad appears with your ad text and URL. If a user clicks on your ad, they should be taken to a page in your website where you display men’s shirts. If you successfully created a Google AdWords structure, it won’t be difficult for you to organize your Facebook Ads. Just like in Google AdWords, the first level is the campaign which contains one or more ad sets. Ad Sets contain one or more ads and includes your preferences in terms of market, budget, bids, and schedule. So instead of keywords, your ads could target a specific group of people on Facebook. Last is the actual ad where you enter the caption and the image or video. The example that we discussed above on creating brand awareness for your hottest products works well on Facebook. You can create one ad set and run several ads on each trending product as long as you’re targeting the same audience. Feel free to create another ad set for a different product if you’re targeting a different audience. Facebook is a good choice to market for brand awareness as you have the option to include an image or a video on your ad. While online ad campaigns offer a lot of benefits that can boost your bottom line, executing campaigns is no piece of cake. It comes with unique challenges that even experienced marketers struggle with. Tackle these challenges head on by improving the organization of your campaign. Start by arming yourself with knowledge, creating a robust ad structure, using the right tools, defining roles and responsibilities, and becoming well-versed with each platform. With these tips, your marketing efforts will run with fewer hiccups.